If the 1991 Gulf War was the first time that the United States brought information warfare from the research report to the actual battlefield, then the Iraq war that ended last year may be the further development of information warfare in actual combat. Information warfare, as the focus of the new military revolution in the 21st century, has increasingly attracted people’s attention. However, through the information campaign to study the lively scenes, we will find that quite a few people only understand information warfare from the perspective of military and technology alone, but information warfare is not so simple. Information warfare is a new emergence of human beings entering the information age. a phenomenon of war. It is not a simple style of warfare, but a new form of warfare relative to firepower. The emergence of information warfare has formed a major breakthrough in many traditional war concepts such as the object of war, the boundaries of war, and the content of war. Among them, the focus should be on the ideological and spiritual side of information warfare.
. There are dozens of concepts about information warfare in the world. However, many of them only understand information warfare from the military and technical perspectives. Even the United States, which is in the leading position of information warfare, is only from the last It was only at the end of the century that this issue was considered from a strategic and social point of view. This is not comprehensive. An important prerequisite for understanding information warfare is that information warfare should not be viewed simply with the war view of the industrial age. In the information age, computers and networks have dramatically changed the shape of war in the past. In the information war, the army and the society, the military and civilians, the war and the crime, the state and the individual have been intertwined in many cases, and they are unclear and unreasonable. Information warfare broadly refers to the war against the information space and the competition for information resources in the military (including political, economic, cultural, scientific, and social fields). It mainly refers to the use of information to achieve the national strategic goals; narrowly Refers to the confrontation between the warring parties in the armed field in the field of information, and seizes the right to control the information. It should be emphasized that information warfare is not a simple military technical issue and should not be understood as a combat style. Information warfare is actually a form of war. The term “information” is understood relative to the times, and corresponds to the agricultural and industrial eras; in terms of social forms, it is also in line with agricultural and industrial societies. At the same time, it is one of the three major resources that human beings must compare with matter and energy. Investigating information warfare, only by knowing at this level can we reveal information warfare in the true sense. The rise of information warfare lies not in what kind of nouns it uses, nor in the war nouns. It is as simple as the buzzwords of “information,” “information,” “information age,” and “digitalization.” It is the inevitable result of the development of society and science and technology, with revolutionary and epoch-making significance. The information wars that emerged at the end of the 20th century, or the information wars we have seen, are only the tip of the iceberg, and are only partial and limited information wars embodied in the military field. Only when the world reaches full network and the earth becomes a small village in the true sense can we see the broad and real information war. Information warfare is not just about the military. When it comes to information warfare, people often think of the army first. Indeed, in the traditional war, the army is the protagonist of the war, and the battlefield is also the stage of the military. Under the conditions of information warfare, the situation is very different. The scope of the battlefield has greatly expanded, and the war has become far more than just military affairs, but has developed into a national war under high-tech conditions. Information warfare is not only carried out through the military, but also through the entire social network. With the construction of the world information highway, information warfare has been difficult to define boundaries. 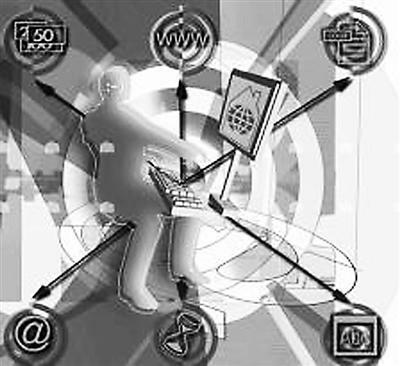 Any social NGO or even an individual who has ordinary computer equipment and masters computer communication technology may use a globally connected computer and communication system to participate in an information war. Information warfare is not only played in wartime. Since the war, the attackers launched wars, and the defenders resisted aggression, and they must be prepared for war. In particular, mechanized warfare has shown obvious phase and proceduralization. In the war of information age, the boundaries between war preparation and implementation are increasingly blurred and even mixed. Looking around the world, it is not difficult to find that information powers are fighting almost every day: public opinion, intelligence confrontation, network reconnaissance, and so on. These are actually information wars that have transformed form, and can be called public opinion warfare, intelligence warfare, and cyber warfare. In the Iraq war, the power of public opinion wars opened the eyes of the world. It has been said that the “discussion war”, one of the forms of information warfare, has been going on since the war. Earlier cases of “public opinion wars” can be traced back to the “Oath of the Oath” of China’s Xia Dynasty and later “Looking for Cao Yuwen” and “Discussing Wushu”. The “discussion of public opinion” has no boundaries between wartime and peace. It controls, manipulates, plans, and utilizes various public opinion tools to systematically deliver selected information to the audience, affecting the audience’s emotions, motivations, judgments, and choices, thus having a major and direct impact on the outcome of the war. As for the information warfare and cyber warfare in the information war, it is even more ignoring the difference between wartime and peacetime. At that time, the US Clinton Administration put forward the idea of ​​building an information highway and promoting global informationization. This move has made the world believe that the United States is leading the human society into the information age. However, the strategic intention of the United States is actually that when the informationization of human society is still in a blank, it will expand the information territory of the United States in order to occupy the opportunity of informationization. As a result, the future development of global informationization will follow the US road map. The United States can integrate the countries of the world into the informatization map of the United States. Looking at it now, this strategic attempt by the United States is far more effective than winning a war of blood and hurricanes. When information warfare is not only a battle, this is not only manifested in the blurring of the preparation and implementation of information warfare, especially in the attack of information warfare on people’s thoughts and spirit. The formation of thoughts and spirits is a subtle process. Through the information superiority, we can achieve the goal of “no war and defeated soldiers” or “less war and defeated soldiers”. The general approach is to use information superiority to create contrast between the enemy and the enemy, use psychological warfare and strategic deception to shake, frustrate the enemy’s military, people’s hearts and government beliefs, and destroy the enemy’s normal political and economic operation system. Means can put the enemy in a state of paralysis, curb the will of the hostile country to wage war, or deprive it of its ability to war. In the 1980s, the scenes of the US-Soviet confrontation were very interesting. Reagan, the US president who is good at acting, has proposed an aggressive “Star Wars” plan, claiming to make all the strategic nuclear missiles of the Soviet Union useless. As soon as the plan was announced, the United States started to promote all the propaganda machines and caused a great sensation in the world. The Soviet leaders convened an emergency meeting in succession and decided to resolutely respond to the blood and establish a strategic defense shield of the Soviet Union. In fact, the “Star Wars” program in the United States only carried out a little bit of technical experimentation. It didn’t cost much at all, but a movie of the same name “Star Ball” was popular in the world. However, the Soviets were very hardworking and hard work. When the national economy was on the verge of collapse, the vast ruble was still thrown into the arms race. The Soviet Union, which had been unable to do so, ran out of the last drop of blood after seven years. It cannot be said that the collapse of the Soviet economy and the collapse of the regime were not dragged down by the US information war. information. Under the conditions of information warfare, national sovereignty has a new content. The extension of national security has expanded and its connotation has become more abundant. The influence of information warfare is no longer limited to the military field, but radiates to the whole. Human society. Under the conditions of information warfare, the important magic weapon for a weak country to defeat a powerful country is the people’s war. Only by insisting on the people’s war under the conditions of information warfare can we effectively defend the national information territory and safeguard national information sovereignty. In addition to information technology and tactics, the most important thing is to grasp the construction of the information talent team and build the two lines of the national spirit defense line in the information age. Those who have talents are in the world. The outcome of the information warfare depends to a large extent on human factors, and must be supported by a large number of high-tech information warfare personnel. In the information warfare, a small number of top information talents can often play a key role in the outcome of the war. During the Second World War, in order to grab a German atomic physicist, the US military changed the direction of the attack of the three Army divisions. After the end of World War II, the history of “the wise man grabbed the people, the fools took the device” was even more intriguing. In the East, the Soviets were busy carrying the seized tanks and cannons; in the West, Americans hurriedly transported more than 3,000 German scientists back home. More than half a century has passed, and the country that grabbed talents is still continuing to write a history of robbing people, and its economy, technology and military are incomprehensible. The country that robbed the weapon was now facing the reality of being robbed. After the disintegration, the Soviet Union had tens of thousands of outstanding scientific and technological talents to change their positions to serve the opponents of the year. As a commanding height of military struggle, the struggle for talents is more decisive in the military contest of the information age. Compared with the “hard killing” brought about by information warfare, the “soft killing” of information warfare is even more terrible. The spiritual realm is the most “window of vulnerability” under the conditions of information warfare. As information technology becomes more developed, channels become more and more fluent, and information sources are more extensive. People will get more and more information and get information faster and faster. The means of modernization have transmitted the information to be transmitted to the countries of the world effectively without any restrictions. At present, developed countries pay great attention to using their advanced information technology to establish a global network of radio, television, and computer networks, thereby exporting their political opinions and values ​​on a large scale and expanding the information frontier. As a result, countries with backward informationization have been subjected to a strong spiritual impact. Therefore, in order to win the people’s war under the conditions of information warfare, from the individual, the media, the army to the whole country, we must comprehensively enhance the awareness of information and national defense, establish the concept of defending the national information territory and information boundary, and consciously build an invisible spiritual defense line. can be said that the development of the world information warfare has gone through three stages. third stage: the development period of the information warfare after 1998 . At present, the new military revolution triggered by information warfare is still going on around the world. The transformation of mechanized warfare into information warfare has been fully carried out in the world. The armed forces of major countries around the world are adjusting their strategies and tactics, preparing equipment, and combat training in accordance with the information warfare, in preparation for winning information warfare. All the wars after the Gulf War have been marked with traces of information warfare. The power of information warfare is impacting all areas of society. 1. Reconnaissance and surveillance technology. Various means of reconnaissance, surveillance, early warning and navigation, including space-based, space-based, sea-based and foundation. 2. Platform integrated information warfare system. Realize radar warning, missile launch and attack alarm, information support, information interference and avoidance, and synergistic integration, and integrate with other information equipment on the platform to achieve information sharing. 3. Network command and control warfare technology. 4. Computer virus technology. 5. Attacking weapons technology. Including electromagnetic pulse weapons, ultrasonic weapons and infrasound weapons. 6. Advanced electronic countermeasures technology. In the development of information warfare weapons, in recent years, the following equipments have been developed or put into active service in various countries. 1. The Joint Surveillance and Target Attack Radar System is a battlefield information processing system that accurately detects moving and fixed targets to cope with the implementation of long-range precision strikes, and provides commanders with important information about combat development and combat management. 2. The Joint Tactical Air-to-Ground Information Station is a weapon support system that processes the vital information needed for space-based sensor data and operational capabilities for early warning missile launches. 3. A beam-energy weapon can penetrate targets hundreds of kilometers or even thousands of kilometers in an instant without leaving a “hard injury”, especially for the direct destruction of high-precision guided high-tech weapons. Therefore, it is considered to be tactical air defense and anti-armor. Optoelectronic countermeasures and even strategic anti-missile, anti-satellite, anti-satellite, multi-purpose ideal weapon for all spacecraft. 4. Smart warfare, woven with a fiber optic network and a conductive polymer network, and a miniature measurement system that monitors the soldier’s physical condition. In the future battlefield, a soldier was injured. At the moment of his fall, the medical staff at the ambulance center can accurately determine whether it is a bullet or a knife wound, where the injured part is, and other basic injuries. In addition, there are military robots, shipboard electronic warfare systems, high-power RF amplifier technology, advanced antenna technology and signal processing technology. warfare is fiercely competitive. Looking at the world, more than 20 countries including Britain, France, Israel, and Russia have conducted in-depth research on information warfare. The development of information warfare in the United States is at the forefront of the world, mainly in technology, equipment, and theory. United States: The information war strategy was changed from defense to attack. In order to improve the US military’s information warfare technical capabilities, the US Department of Defense has a specialized information system processing agency responsible for maintaining the 2.5 million computers used by the US military. It is also studying how to improve the attack capabilities of computers and create communication networks and financial systems that destroy hostile countries. And the intrusion of the power system. As early as the fall of 2000, the US Space Command Center began to develop aggressive computer weapons. This means a major adjustment in the US military’s information war strategy—from strategic defense to strategic attack. Russia: The focus of information warfare is on “Heavenly Soldiers.” The development of information warfare in Russia has concentrated on the development of “Heavenly Soldiers” — the astronauts. In 2002, Russia invested about 31.6 billion rubles for space research, 5.4 billion rubles for the development of global navigation systems, and strengthened the development of lasers, high-power microwaves and anti-satellite weapons. Japan: Accelerate the formation of information warfare units. 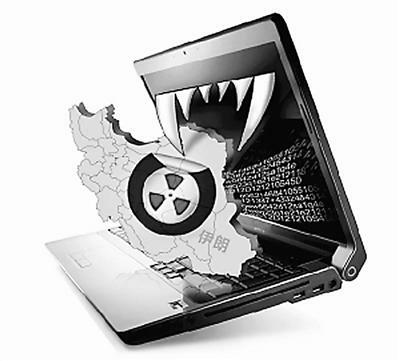 The Japanese Defense Agency is forming an information warfare force of 5,000 people, focusing on the development of cyber weapons as the focus of future defense plans, and speeding up the construction of the Japanese Army’s digital forces. EU and other Western countries: embarking on the construction of digital troops. Countries such as France, Germany, Britain, Canada, Australia, the Netherlands and Sweden are also developing platforms and individual C4I systems. More than 10 countries, including France, Britain, Germany, Australia, Canada, Italy, and Israel, are embarking on the implementation of digital military and digital battlefield construction plans. Among them, most countries are concentrating human and financial resources to develop the equipment needed for digital units, and a few countries in the past have conducted several digital force test exercises. In the future, while the above-mentioned countries continue to develop the digital “hardware” of the battlefield, they will begin to consider the composition of the digital units, and more countries will join the ranks of the digital construction of the troops. In the information age, cybersecurity has taken the lead in national security. The Outline of the National Informatization Development Strategy emphasizes that it should actively adapt to the new changes in the national security situation, new trends in information technology development, and new requirements for strong military objectives, build an information security defense system, and comprehensively improve the ability to win localized information warfare. Cyberspace has become a new field that affects national security, social stability, economic development and cultural communication. Cyberspace security has become an important topic of increasing concern to the international community. The United States has clearly declared that cyberspace is a new field of operations, and has significantly expanded its network command and combat forces to continue to focus on cyberspace weapons development. Since entering the summer, the US military network exercises have been one after another, and the invisible wars are filled with smoke. At the beginning of March, “Network Storm 5” took the lead in kicking off the drill; in April, “Network Aegis 2016” completed the fifth-generation upgrade; in June, “Network Defense” and “Network Capture” as the core re-installation of the annual joint exercise Debut. The essence of network security lies in the ability to attack and defend both ends. Currently, static, isolated, passive defenses such as firewalls, intrusion detection technologies, and anti-virus software are difficult to effectively deal with organized high-intensity network attacks. To build a cyberspace security defense line, we need to get rid of the idea of ​​falling behind and win the counterattack on the defensive concept. Network attacks require a certain amount of time to scan and research the target network, detect and utilize system “vulnerabilities” to achieve intrusion control purposes. In theory, the attacker has unlimited time to start the scanning and detecting work, and always find the weak point of defense, and finally achieve the purpose of the invasion. To this end, the network pioneer USA is committed to planning and deploying security defense transformation work, striving to break through the traditional defense concept and develop revolutionary technology that can “change the rules of the game”. Mobile target defense is one of them. Mobile target defense is called the new paradigm of cyberspace security defense. The technical strategy is to construct a dynamic network through the processing and control of the protection target itself, increasing randomness and reducing predictability to improve the difficulty of attack. If the static cyberspace is likened to a constant “city defense deployment”, it is difficult to stick to it; and the dynamic network configuration can be called the ever-changing “eight squad”, which is difficult to crack. At present, mobile target defense technology has priority in various US government and military research, covering dynamic platform technology, dynamic operating environment technology, dynamic software and data technology. In August 2012, the US Army awarded Raytheon’s “Deformation Network Facility” project to study the dynamic adjustment and configuration of networks, hosts and applications in case the enemy could not detect and predict, thus preventing, delaying or blocking the network. attack. As a new idea in the field of cyberspace security, mobile target defense reflects the technological development trend of future network defenses to turn “dead” networks into “live” networks. Conventional network security protection is mainly to defend against cyber attacks from the front. Although the defensive measures have made great progress, they have not changed the basic situation of cyberspace “easy to attack and defend”. In recent years, the development of “Honeypot Deception Defense” has proposed a new concept of “bypass guidance”, which is to reduce the threat of cyber attacks to the real protection target by absorbing network intrusion and consuming the resources of attackers, thereby winning time. Strengthen protection measures to make up for the shortcomings of the traditional cyberspace defense system. Similar to the intentional setting of false positions on the battlefield, honeypot deception defense is to actively use the computer network with lower security defense level to lure all kinds of network attacks, monitor its attack means and attributes, and set corresponding defenses on the target system that needs to be protected. System to stop similar attacks. Honeypots can be divided into two types, product-type honeypots and research-type honeypots. The main purpose of the former is to “attract firepower” and reduce the pressure of defense. The latter is designed for research and acquisition of attack information. It is an intelligence gathering system that not only needs network attack resistance but also strives to monitor powerfully to capture the attack behavior data to the maximum extent. 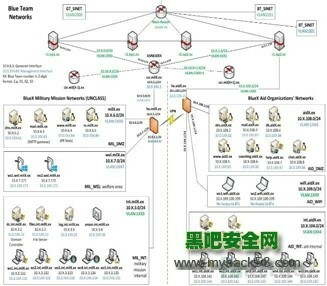 In addition to the establishment of a virtual network environment attack and defense laboratory consisting of four sub-networks of gray, yellow, black and green, the US military has also carefully deployed a honeypot decoy system on the Internet. What is certain is that the network defense idea based on deception will be further emphasized, and the technical means to achieve deception will be more and more. At present, most of the security protection devices and defense technologies are “individually fighting”. The data between network protection nodes is difficult to share, and the protection technologies are not related. As a result, the current defense system is isolated and static, which cannot meet the increasingly complex network security situation. need. The original motivation of the US “Einstein Plan” was that all federal agencies had exclusive access to the Internet, making overall security difficult to guarantee. Through the collaborative linkage mechanism, the relatively independent security protection devices and technologies in the network are organically combined to complement each other and cooperate with each other to defend against various attacks. It has become an inevitable choice for the future development of cyberspace security defense. Collaborative collaborative defense refers to the use of existing security technologies, measures and equipment to organically organize multiple security systems that are separated in time, spatially distributed, and work and interdependent, so that the entire security system can maximize its effectiveness. Vertically, it is the coordinated defense of multiple security technologies, that is, one security technology directly includes or links to another security technology through some communication method. For example, the “deep defense” mechanism adopted by the US Navy network defense system targets the core deployment layer protection measures, including flag-based attack detection, WAN security audit, vulnerability alert, etc., and the attacker must break through multiple defense layers to enter the system. Thereby reducing its attack success rate. When a node in the system is threatened, it can forward the threat information to other nodes in time and take corresponding protective measures to adjust and deploy the protection strategy. In the past, individual combat operations have been unable to meet the needs of today’s network security defenses, and coordinated collaborative defense will leap into the mainstream of network security. Integrate a variety of defense technologies, establish an organized defense system, and “reject the enemy outside the country” to effectively prevent problems before they occur. The attacks in cyberspace are more and more complicated. The ideal network security protection is to protect all the weak or attack behaviors. However, from the perspective of defense resources limitation, it is obviously unrealistic to pursue absolute security defense. Based on the concept of “moderate security”, the optimal strategy defense is on the horizon. Optimal policy defense can be understood as seeking a balance between cyber security risks and inputs, and using limited resources to make the most reasonable decision defense. As far as investment is concerned, even the strong United States is trying to build a collective defense system for cyberspace. The United States and Australia cyberspace defense alliance agreement, as well as the Japan-US network defense cooperation joint statement, its “share of results” behind the “cost sharing” shadow. From the perspective of risk, the pursuit of absolute security will adhere to the principle of safety supremacy. When formulating relevant strategic objectives and responding to threats, it is easy to ignore the limited and legitimacy of the resources and means available, and it is difficult to grasp the advance and retreat. The optimal strategy defense is mainly focused on the “optimal” strategy of game theory, focusing on the research direction of cyberspace security assessment, cost analysis, security defense model construction and evolution. Applying the idea of ​​game theory to cyber attacks and defenses provides a new way to solve the problem of optimal defense decision-making. The threats to cyberspace are unpredictable, irresistible, and unpredictable. Protection can’t completely avoid system failure or even collapse. Traditional reliability theory and fault-tolerant computing technology are difficult to meet the actual needs, which has to consider more comprehensive and deeper problems than pure protection. In this context, a new generation of intrusion-tolerance defenses has received increasing attention. Intrusion tolerance is the third-generation network security technology, which belongs to the category of information survival technology and is called the “last line of defense” for cyberspace security defense. Unlike traditional cybersecurity defenses, intrusion-tolerant defenses recognize the existence of vulnerabilities and assume that some of them may be exploited by attackers to attack the system. When the target of protection is attacked or even some parts have been destroyed or manipulated, the target system can “kill the tail” like a gecko to complete the healing and regeneration of the target system. Intrusion-tolerance technology is no longer based on “defense”, but on how to reduce losses and recover as soon as the system has been damaged. However, intrusion tolerance is an emerging research field. Its cost, cost and benefit will be the next research direction. In August 2010, Iran built the Bushehr nuclear power plant with the help of Russia. However, the nuclear power plant, which was scheduled to be put into operation in October of that year, was postponed several times. A year later, according to media reports, it was caused by a computer network virus attack of unknown source. More than 30,000 computers were “in the middle”. Thousands of centrifuges in Natans were scrapped. The newly capped Bushehr nuclear power plant had to be taken out. Nuclear fuel was delayed and the Iranian nuclear development plan was forced to shelve. This virus, later named “Shenzhen”, pioneered the control and destruction of entities through the network. Network intelligence activities are the most active part of the cyberspace strategy game and security struggle. In 2012, a large amount of data from the Iranian oil sector was stolen and cleared, making it impossible for oil production and exports to function properly. In order to avoid continuing to create hazards, Iran was urgently disconnected from the network of the oil facilities on the Halk Island near the Gulf. After a large-scale investigation, a new virus emerged, which later appeared in the “flame” virus in Israel, Palestine and other Middle Eastern countries. The “Flame” virus combines the three characteristics of worms, backdoors and Trojans. It combines the interception of screen images, recording audio dialogues, intercepting keyboard input, and stealing Bluetooth devices. It has become a new type of electronic company that steals secret information from other countries. spy”. In 2007, in order to kill the Syrian nuclear program in the bud, 18 F-16 fighters of the 69th Fighter Squadron of the Israeli Air Force quietly broke through the advanced Russian “Dor”-M1 air defense deployed by Syria on the Syrian-Israeli border. The system carried out precise bombing of a nuclear facility about 100 kilometers west of the Syrian-Israeli border and about 400 kilometers northeast of Damascus, and returned safely from the original road. According to the disclosure, the “Orchard Action” has made the US “Shuter” attack system shine. “Shut” invaded by remote radio, 瘫痪 radar, radio communication system, is the “behind the scenes” to make the Syrian air defense system in a state of failure. As a new type of network power attack system for networked weapon platforms and networked information systems, “Shut” represents the development trend of military technology and combat methods, and is bound to bring a new war landscape. The complicated situation of ideological struggle caused by the Internet has created an alternative channel for information penetration and “colonization” of thought. In the “Jasmine Revolution” in North Africa and the “Arab Spring” in the Middle East, there are “shadow networks”. A ghost-like “shadow network” can bypass the traditionally regulated Internet, form an invisible and independent wireless local area network, realize mutual information communication, and access the Internet at any time as needed, and access the network resources “unrestricted”. The New York Times disclosed that the US State Department and the Pentagon have invested heavily in building an independent system in Afghanistan and using a launch tower located in the military camp to transmit signals to protect them from Taliban militants. Subsequently, an “invisible communication system” was established in Iran, Syria and Libya to help local anti-government organizations to communicate with each other or with the outside world. It is not difficult to foresee that after the deployment of the “X Plan”, it is definitely not just “get rid of the constraints of the keyboard”, but also enables situational awareness and cyber attacks on a global scale. If a power-state wants to realize the dream of the empire, it was a world war 100 years ago, a nuclear war 50 years ago, and now it is a cyber war. How does the United States face the cyber war era? In recent years, the United States has taken a number of measures to accelerate the development of cyber warfare. After the Obama administration took office, it continued to play the “eight-one” “combination boxing” to improve its cyber warfare capabilities. Because the United States adheres to the concept of absolute security in cyberspace, this will not only aggravate the insecurity of the United States, but will also induce instability in the objective, resulting in instability of the cyberspace situation. Recently, foreign media reported the latest progress of the US military in cyber warfare: the US military has spent five years developing advanced cyber weapons and digital combat capabilities, and these weapons may soon be deployed more publicly and will be considered for the next few years. “Network militia.” The US’s measures to accelerate the development of cyber war deserve our high attention and in-depth study. Today, one-third of the world’s population uses the Internet, and billions of people accept the services provided by the Internet. The arrival of cyber warfare is an inevitable historical necessity. 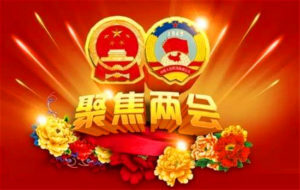 The network revolution is also reshaping the new pattern of world political, economic, social and cultural development. Cyber ​​warfare has become the “atomic bomb” of the information age. The research of RAND Corporation puts forward: “The strategic war in the industrial era is nuclear war, and the strategic war in the information age is mainly cyber warfare.” Why can cyber warfare compare with nuclear war? Because the two have similarities in the “fission reaction” and the destruction effect. If the computer network is abstracted into the weaving of points and lines, the point is the computer and the router, the line is the network channel and the TCP/IP transmission protocol extending in all directions, and the network viruses such as Trojans and worms are the potential “uranium” in the network. Why do viruses in the network cause fission? There are two main reasons: First, the inherent defects of the computer architecture provide a “soil and hotbed” for the virus. The weapon of cyber warfare is a virus such as a Trojan, a worm (which is essentially a malicious code). The reason why malicious code can be raging is because there are exploitable vulnerabilities in the system, and the source of the vulnerability lies in the inherent shortcomings of the von Neumann architecture used by computers. The principle is to store data and programs in the read and write memory (RAM), the data can be read and written, and the program can be changed. In the cybersecurity incidents that occur in today’s world, more than 50% of the exploits that are exploited are mainly due to this mechanism. Second, the open shared Internet provides a path and bridge for the fission of the virus. “Network warfare: The next threat to national security and countermeasures” clearly states that there are five major flaws in the Internet: fragile domain name service systems, unverified routing protocols, malicious traffic without censorship, decentralized network structures, and Clear text transmission. Once these defects are exploited, they may form a flood of attacks on the network, which acts like a weapon of mass destruction, and is as powerful as the “atomic bomb” of the industrial age. In the process of changing times and the evolution of war, who can take the lead in shifting the focus from the traditional field of human activities to new important areas, who can gain huge strategic benefits. It can be said that mastering the right to make nets in the 21st century is as decisive as mastering the sea power in the 19th century and mastering the air power in the 20th century. Obama, who relies on the success of the network operator, attaches great importance to the construction of cyberspace. He delivered a “5·29” speech when he came to power, and believed that protecting the network infrastructure would be the top priority for maintaining US national security. During his tenure, Obama successively launched the “eight-one” “combination boxing”, which made the US cyber war into a period of rapid development. The first is to launch a report. 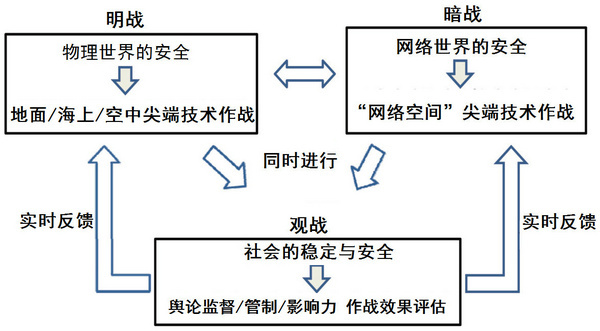 In the “Network Space Security Policy Assessment Report”, it emphasizes that cyber war is related to national security, affects social stability, is related to economic development, and determines the outcome of war. The second is to strengthen a strategy. It has established a “three-in-one” national security strategy supported by the deterrent strategy of nuclear weapons, the preemptive strategy of space, and the network’s control strategy. The third is to form a headquarters. In 2009, the US military established the Cyberspace Command, which is the main function of commanding cyber warfare. 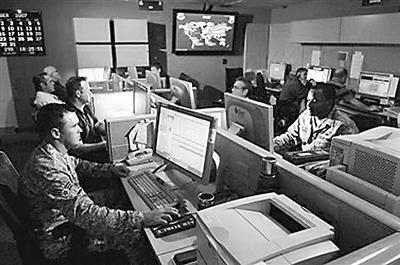 In May 2013, the US military set up a “joint network center” at each theater headquarters, and its cyber warfare command system was gradually improved. At the same time, the US military also plans to upgrade the Cyberspace Command to a formal combatant command, making it a level of organization with other theater headquarters. This will directly shorten the chain of command of the US cyber warfare forces and the military. The fourth is to develop a road map. In 2010, the US Army officially issued the “Network Space Combat Capability Conception”, which is considered to be the first roadmap for the development of cyber warfare capabilities developed by the US military. The fifth is to start a shooting range. In 2009, the US Department of Defense launched the “National Network Shooting Range” project, which was officially delivered in 2012. The US cyber warfare training and weapon evaluation have a realistic environment. The sixth is to develop a series of weapons. The US military has developed and stocked more than 2,000 virus weapons, and these weapons are gradually moving toward a systemic direction. There are mainly anti-smuggling weapons represented by “seismic net” virus and “digital cannon”, intelligence warfare weapons represented by “flame” and “Gauss” virus, and psychology represented by “shadow network” and “digital water army”. War weapons. The seventh is to plan a series of exercises. From 2006 to the present, the United States has organized several cross-border cross-border “network storm” exercises. Every time, the Internet is listed as an offensive and defensive target, targeting key infrastructure such as finance, transportation, electricity, energy, and communications. This reveals the main battlefield of cyberspace, which is an open Internet rather than a closed tactical network. Eight is to support a number of social networking sites. A number of social networking sites such as “Twitter” and “Facebook” have become strategic tools to interfere in his internal affairs. This is a punch in the combination punch. In February 2013, after the overthrow of the opposition government in Tunisia and Egypt, Obama fully affirmed the important role played by Internet companies such as “Twitter” and “Facebook”. According to statistics, only “Facebook” social networking sites have more than 1.3 billion users worldwide. Published the “Network War Declaration.” Obama’s move after the ruling shows that the United States has officially incorporated cyber warfare into the category of war and classified cyberspace as a new operational domain, reflecting the US’s advanced forecast and preemptive design for future wars. There are two main reasons for its deep motivation: First, to ensure its own network security – reflecting the United States’ concerns about its information security. The second is to ensure global cyber hegemony – reflecting the new concept of the American war. 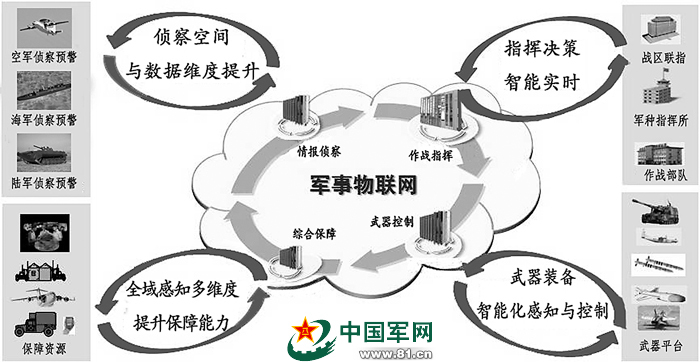 First, it provides a new basis for enhancing the important position of network power construction. The report further raises the threat of US cyberspace to a “first-tier” threat. At the same time, the report also regards China, Russia, Iran, and North Korea as potential “network opponents” in the United States. This is the latest and most serious judgment on the cyber threat situation. The second is to provide new guidance for speeding up the construction of cyber warfare forces. The report focused on the three major tasks and five major goals of the Ministry of Defense in cyberspace, and further refined the construction goals of 133 cyber warfare detachments. The third is to create a new pillar for maintaining a comprehensive military advantage. The report clearly stated that when the United States faces an attack against the interests of the United States or the United States in cyberspace, the US military can conduct cyber operations and implement cyber attacks. This is the most important adjustment to this cyberspace strategy. In the future, the US military will use cyber attacks as an important means of warfare. This is the main manifestation of the United States’ concept of “moving the Internet with the use of force” in cyberspace. The fourth is to create new conditions for reshaping the international network system. The report emphasizes the emphasis on strengthening the coordination between the military and the civilians; the key external development and cooperation with allies. The main goal of the cooperation is to share the costs and risks, promote the international code of conduct that is beneficial to the United States, and seize the right to speak and lead in the formulation of cyberspace rules. Technical pillar. The “Prism Gate Incident” further confirms that the United States has been monitoring the global network to the point of pervasiveness. The United States occupies the upstream of the industrial chain. From basic chips to hardware applications, from operating systems to commercial software, Midea has an absolute technological advantage, forming a complete set of industrial chains, supply chains and information chains. The overwhelming advantages of technology and the monopoly in many core markets are key to the acceleration of cyber warfare in the United States. Discourse pillar. The powerful ability of the United States to act in cyberspace determines its strong voice in online diplomacy. No matter what double standards it exhibits in cyberspace, it can influence the global public opinion space under the support of powerful discourse. Without the emergence of the “Prism Gate Incident,” the United States has created two “lie” that have become truths around the world: first, the West is a victim of cyberattacks; and second, China is a source of cyberattacks. This has greatly damaged China’s national image, reputation and international status in the international community, seriously affecting China’s high-tech exports, and achieving the “four-two-pound” effect that is difficult to achieve using trade protection and WTO rules. Even if the “Prism Gate Incident” tears open the “fair of justice” of the United States, it still shows superior combat capability, claiming to be monitored by itself, and placing national security on the basis of personal privacy in the name of counter-terrorism. Firmly control the right to speak in cyberspace. Strategic pillar. A higher level than the technical pillar and discourse pillar is the strategic pillar. The core of the US strategic pillar is reflected in the pre-emptive global strategy and the overall layout of the game power. First, the advantages of multiple forces complement each other. At present, the United States is actively cultivating cyber security companies such as “Fire Eyes”, using their technological advantages and unofficial background to globally control, long-term tracking, collecting evidence, and acting as a pioneer, while the government and the military are hiding behind the scenes. This has earned the US diplomacy a flexible space for attack and retreat. Second, the network attack and defense and theft of intelligence are clear. The clear strategic division of labor has brought the benefit to the United States. Even if the “Prime Gate Incident” broke the news, the National Security Agency was “spoken” by the world, but there was no such thing as its cyberspace command. Instead, the cyberspace command made the cyberspace command The maintenance of national security is an excuse to accelerate the expansion of the army and develop at a high level. The United States has two clear main lines in cyberspace, namely: the National Security Agency is in charge of the network, and the Cyberspace Command is in charge of the network. This clear strategic thinking has provided strong support for the United States to accelerate the development of cyber warfare. It can be seen that on the issue of network security, the United States pursues the concept of absolute security and attempts to use force to move the military to achieve absolute control over cyberspace. It can be seen from Snowden’s breaking news that the US network monitoring of the international community is systematic, large-scale, and uninterrupted, but it requires other countries to strictly control itself, and it cannot be half-step. This is an asymmetrical mindset and a double standard. Is it feasible? The problem of cyberspace is very complicated, and the processing methods cannot be too simple. To deal with these problems, new rules, new methods, and new thinking are needed. First, there are many kinds of cyberspace actors, and they are mixed. Second, the attack path and source can be virtual forged, and the source of evidence must rely on multiple parties. Due to the complexity and uncertainty of virtual space, many rules of armed conflict law for physical space are difficult to use in cyberspace. For example: How to define war and peace in cyberspace? How to distinguish between military targets and civilian targets? How does the neutral concept apply? In a country that declares neutrality, it is difficult to control the computer malicious code of others without flowing through the network equipment in its own territory, and it is difficult to avoid the control and utilization of the network facilities of the belligerents. For example, in the case of cyber attacks in foreign countries, network equipment in China has also been used by hackers as “broilers” and “springboards”. China is an innocent victim. 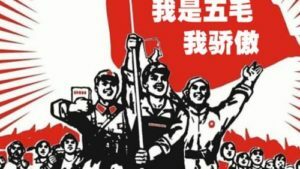 If “the state responsibility of cyberattacks launched through the country is not properly prevented by “neutral state standards” and “the destruction of cyberattacks by force”, China may suffer innocent blame. And the United States has such a strong technology that it is difficult to completely prevent being exploited, attacked, and controlled. Cyberspace cannot easily be judged or written. Management methods and patterns suitable for physical space may not be suitable for virtual space. Feel free to reduce the trajectory of cyberspace, and at the same time push up the risk of conflict escalation. Therefore, any dispute arising out of cyberspace should be resolved in a peaceful manner and should not be threatened by force or by force. Is the effect controllable? There are two situations in which a consequence assessment is required. First, what should I do if I misjudge? Simplifying the threshold of attack can make a neutral country or an innocent suffer a disaster. Second, can you solve the problem? In 2014, local conflicts such as the Ukrainian crisis and the Palestinian-Israeli conflict led to cyber conflicts, and large-scale cyber attacks continued to take place. Western countries headed by the United States have imposed sanctions on Russian banks and enterprises, resulting in a clear upward trend in cyberattacks against the US financial industry. It can be seen from the effect evaluation that it cannot be said that deterrence and force have no effect on the solution of the problem, but it is not a panacea. If a big country like the United States and Russia uses force in cyberspace, what kind of negative effects and consequences will this bring to world peace? Is it desirable to think? Although the United States has the most powerful army and the most advanced technology in the world, it is still constantly looking for opponents, rendering crises and exaggerating threats. This makes the whole world lack of security, objectively induces unstable factors, and stimulates negative energy and potential threats. It is precisely because the United States pays too much attention to its own national interests and is unwilling to adjust its strategic demands for the sound development of the international system. This has led the United States to continually fall into the “security dilemma” and “more anti-terrorism” circles since the “9.11” incident. This phenomenon deserves the United States to ponder. As the creator of the Internet, the US military was the first to plan the formation of a cyber warfare army. As early as 1995, the US National Defense University trained 16 network warriors who relied on computers for information confrontation. From the development history of the past 20 years, strengthening strategic guidance and doing a good overall planning is a basic experience for the rapid development of the US military’s cyber warfare forces. In 2002, the then President Bush signed the “National Security Order No. 16” and asked the Ministry of Defense to take the lead in formulating a cyberspace action strategy. In December of the same year, the US Navy took the lead in setting up the Cyber ​​Command, and the Air Force and the Army also quickly followed up to form a service network force. In March 2005, the US Department of Defense issued the “Defense Strategy Report,” which defined the strategic position of cyberspace and characterized it as the fifth-dimensional space that is as important as land, sea, air, and sky. The development of US cyber warfare forces is ushered in. The first wave of climax. In general, in the early stage of development, although the development speed of the US military’s cyber warfare forces was fast, it lacked overall planning, and the various military cyber warfare units were stacked in flames and failed to form a joint force. After President Obama, who relied on the Internet to win the general election, took the stage, he focused on strengthening the strategic guidance for cyber warfare capacity building from two aspects. On the one hand, in May 2010, the network headquarters of the entire army was established to coordinate the cyber warfare forces of various services and strengthen the command and control of cyberspace operations. On the other hand, in 2011 and 2015, two strategic reports, the Cyberspace Action Strategy and the DoD Network Strategy, were launched. The former explained the five pillars of the US military’s cyberspace operations, and the latter clarified the mission of cyber warfare forces. Mission and construction goals. At present, the US military cyber warfare power system has basically taken shape. At the heart of the system is a network mission force directly under the US Cyber ​​Command, which plays a key role in the US cyber warfare operations. As of the end of October 2016, the number of US military network task forces has reached 5,000, and all of the 133 network task forces compiled have initial operational capabilities, of which nearly half have full operational capabilities. According to the US Department of Defense program, by September 30, 2018, the number of network missions will increase to 6,187, with full operational capability. In recent years, as cyber warfare has moved from behind the scenes to the front of the stage as an independent warfare style, the US military’s cyberspace action strategy has shifted from “precaution-based” to “attack and defense”, and improving the cyberspace combat capability has become the focus of the US military. At present, the US military mainly promotes network training under actual combat conditions from four aspects. Open online courses according to actual needs and lay a solid foundation for cyber warfare skills. In response to the new situation in the field of cyberspace, the US military major military academies have added online courses. In 2012, the US Air Force Ordnance Academy launched its first offensive cyber action course, focusing on how to combine network capabilities with traditional combat methods. In 2014, West Point Military Academy established the Army Cyber ​​Warfare Academy to train network elites. In the past few years, military colleges such as the West Point Military Academy and the Naval Academy have conducted network offensive and defensive drills with the “Red Cell” team composed of experts from the US National Security Agency to cultivate the backbone of future cyber warfare. Develop a general-purpose network warfare training platform to improve the comprehensive benefits of training. At the Department of Defense, led by the Defense Advanced Research Projects Agency, the “National Network Shooting Range” was developed to simulate the cyberspace attack and defense operational environment, test network weaponry, and test new operational concepts. At the military level, a virtual environment was developed that could serve as a network range or test platform for testing, planning, and evaluating cyberspace operations. For example, the network virtual city built by the US Air Force can be used to conduct network attack and defense tactics; the naval development of the “tactical network shooting range” can extend network training to the radio frequency physical environment, achieving efficient integration of joint firepower and information advantages. Conduct integrated network warfare exercises to improve the actual combat capability of network forces. In early 2016, the US Department of Defense’s Office of Combat Test and Evaluation recommended in a report to Congress that, in view of the fact that the US military will perform its tasks under the violent confrontation of cyberspace, it should regularly organize network offensive and defensive units and combat units to jointly conduct operations. drill. Since the beginning of this year, the US Army has conducted a number of exercises using network squadrons such as “Network Exploration” and “Network Flash Battle”, focusing on the actions of network detachments to support combat troops under field conditions. In April of this year, the US Army’s 25th Infantry Division and the 7th Communications Command Network Protection Brigade jointly held a “Network Flash Battle” exercise to test the feasibility of multi-sectoral interdisciplinary collaboration such as communication, network, and firepower. Organize comprehensive cyber war exercises to strengthen military and network joint network operations capabilities. The US military believes that “the strategic war in the industrial era is a nuclear war, and the strategic war in the information age is mainly a cyber war.” Only by implementing the overall network war of the military and the land can we win the future cyber war. Since 2012, the US Army Network Command has jointly led the Department of Homeland Security and the Federal Bureau of Investigation to jointly organize a “Network Guardian” military joint exercise to strengthen information sharing between the US Department of Defense and other federal government agencies and private companies. In the “Network Guardian-2016” exercise held in June this year, more than 100 organizations and more than 800 organizations from government, academia, industry and allies participated in the exercise, focusing on the response to large-scale blackouts, oil refinery oil spills, and ports. Close other network attack scenarios. The United States was the first country to propose the concept of cyber warfare and the first country to use cyber forces for actual combat. As early as 2007, the National Security Agency used computer viruses to infect militants’ mobile phones and laptops, deceiving the enemy by sending false information, and even introducing the enemy into the US ambush to assist the US military in its operations. After the establishment of the network mission force in 2012, in order to maintain the first-mover advantage in the field of cyberspace, the US military has followed the principle of “building and using, building and integrating” and actively explored and promoted the operational use of network forces. At the end of 2012, the US Army Network Command took the lead in deploying a network mission detachment with full operational capabilities at the Central Command to support US military operations in Syria and Iraq. In October 2015, US Naval Network Task Force Commander Paul Nakaso revealed at the seminar of the Center for Strategic and International Studies that although it had not yet been formed, the network task force had begun to participate in actual military operations. According to reports, from January to October 2015, the US military network task force participated in seven major military operations. In April this year, under the direction of Defense Minister Carter, the US Cyber ​​Command publicly announced a cyberattack against the “Islamic State” terrorist organization and became the “first show” of the US military network forces. In the course of the operation, the US military network forces focused on the communication network, publicity websites, and social networking websites of the “Islamic State”, and downgraded the information, issued instructions, recruited new people, and paid electronic payments through network downgrades and false orders. ability. With the increasingly prominent role of cyberspace operations in US military joint operations, the US military has focused on the construction of the network force command and control architecture. After the completion of the US Cyber ​​Command in 2010, the US Army, Sea, and Air Forces established the Service Network Command. In May 2012, the US military formed a “Joint Network Center” at each theater headquarters to serve as a link between the theater command and the US Cyber ​​Command to better use the network mission force to support theater operations. At present, the US military executives are actively promoting the upgrading of the Cyber ​​Command to an independent combatant command. Once this vision becomes a reality, the command relationship of the US military network forces will be clearer and the chain of command will be more efficient. If the First World War was a chemist’s war and the Second World War was a physicist’s war, then the 21st century war would undoubtedly become a game between informatics. The cyberspace war has moved from the background to the front. From the supporting role to the protagonist, become a new battlefield and combat platform. With the gradual emergence of the cyber warfare deterrent effect, countries have introduced network strategies and formed “cyber warfare forces”. The global network arms race has shown its tempo. At present, more than 20 countries have established “cyber warfare forces”. Committed to the application of network technology to war, the “seismic network” incident and the “hacker door” incident fully proved the remarkable power of cyber warfare in the new generation of war mode. We must profoundly understand the new forms of war reflected by these events and actively respond to the threats and challenges brought by cyber sovereignty, network defense, network frontiers, and cyber warfare, because whoever masters the new war winning mechanism will be able to Win the initiative in the round of war. The world today is moving rapidly toward informationization, and cyberspace has become the “fifth largest territory” beyond land, sea, air and sky. The original sovereignty is the sovereignty of physical space, while the network sovereignty is the sovereign space of network electromagnetic space; national sovereignty is a concept that expands with the expansion of human activity space. Network sovereignty is a new content and an important part of national sovereignty. (1) Cyber ​​sovereignty has become the “commanding height” of national sovereignty. The network carries a large amount of content such as politics, economy, military, culture, transportation and social, and becomes the basic platform for the efficient operation and accelerated progress of the entire society. Once the cyber sovereignty is lost, the network public opinion orientation will be out of control. The national industrial, transportation, energy and other national economic lifeline industry control systems and military information networks will be out of control, just as sea power challenges land rights and air rights challenges sea power and land rights. The latecomers of cyber sovereignty have become the “commanding heights” of national sovereignty, directly affecting the security and stability of all areas of the country. (2) The violation of cyber sovereignty will directly affect the “heart” of the country. Compared with traditional physical space, the existence and defense of cyberspace sovereignty is not only easily overlooked, but also vulnerable to violations. The network hinges the information nodes on the earth that are thousands of miles apart. Through it, it can be easily and easily moved from one country to the heart of another country to the heart. A keystroke can surround the Earth for two weeks in a period of 0.3 seconds, and the attack is difficult to locate. 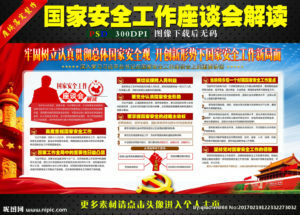 (3) The use of “combination boxing” is required to defend the cyberspace sovereignty. In the Google turmoil in 2010, the Chinese government categorically rejected Google’s request for “freedom” beyond Chinese legal management, which is a firm defense of cyber sovereignty. For any violation of the cyber sovereignty of our network, we must not only resist and counterattack in the cyberspace, but also play a “combination boxing” of politics, economy, and diplomacy to counterattack if necessary. China’s Internet users have reached 731 million. In this context, the network frontier far surpasses the status of the Great Wall in history and has become an important “warning line” for national security in the information age. (1) Fully recognize the “new situation” of the network frontier. The first is the lack of network protection awareness among the people. Many systems have the same firewall, the network security problem is serious, and the cyber crime is increasing. Secondly, the network security products and security equipment in key areas rely on imports. The mainstream firewall technology and anti-virus technology are mostly from abroad, and they can control themselves independently. The lack of high-tech network security products; the third is that as China is increasingly connected to the world, the introduction of technology and equipment network remote services increases, the foreign party can monitor the operation and production of the equipment in real time, making me “portal opening”; finally In actual network operations, Western network powers monopolize a large number of network resources. For example, most of the world’s online information comes from or passes through the United States. (2) Accurately define the “new boundary” of cyberspace. On the one hand, we must correctly understand the essential meaning of the network frontier. A country’s network infrastructure, state-specific Internet domain names and their domains, as well as financial, telecommunications, transportation, energy and other national core network systems in the national economy and the people’s livelihood should be regarded as an important part of the national network frontier, and no vandalism is allowed. On the one hand, we must correctly understand the importance of guarding the network frontier. Watching the network frontier is actually an authorization relationship, that is, it must meet the requirements and be allowed to enter. Otherwise, it cannot enter. For example, national financial, power, transportation and other systems of protection measures, firewalls and bank card cryptosystems are the “watchers” of the network frontier. (3) Focus on creating a “new sword” that guards the frontiers of the network. The frontiers of guarding the network must be supported by powerful technical means. Various firewalls, cryptosystems, etc. are equivalent to building thick lines on the frontiers of the network, but this is not enough to resist external “invasion”, but also requires “patrol sentinels” and “frontier forces” to detect “intrusion” in a timely manner. In 2003, the US Einstein Plan for monitoring abnormal traffic at government agencies and institutional networks was the world’s first intrusion detection system. By the end of 2008, the Einstein system had been deployed in 600 government agency website systems, forming an intrusion detection system that supports dynamic protection. Sovereignty without armed protection is a fragile sovereignty, and frontiers without defense and defense are endangered frontiers. Therefore, people have a strong sense of border defense, coastal defense, and air defense. (1) Firmly establishing a network defense concept is a “premise.” The countries of the world, especially the western developed countries, have not only woke up early, got up early, but also ran fast in the construction of network defense. Among them, the United States is both the creator of the Internet and the country that first paid attention to the construction of network security protection. The United States not only took the lead in formulating a series of policy documents such as the National Strategy for Ensuring Cyberspace Security, but also established a strong “net army” and a strong network defense. (2) Vigorously building the network’s national defense force is a “trend.” The United States, Britain, Japan, Russia and other countries, as well as Taiwan, have formed cyber warfare units and command agencies. Strengthening the construction of cyber security forces and improving the national cyber defense capabilities are both the general trend and the successful practices of all countries in the world. They are also an urgent task for safeguarding China’s national security. (III) Overall planning of network defense construction is “key”. The overall strategic concept should be proposed for the current cyberspace struggle, and the “three hands” should be highlighted in the top-level design: that is, to compete as a “flag-bearer” in public opinion, to select “hands-on” in the construction focus, and to stay on the struggle strategy. There is a “backhand”. In today’s world, the globalization of network battlefields, the normalization of network attack and defense, and the white-hotness of network attacks have made it possible to scientifically and effectively control cyberspace and occupy cyberspace, and become a new battlefield for strategic games of big countries. The first is to regard the cyberspace situational awareness as the core of the power system. The four capabilities of “network security, situational awareness, network defense, and network deterrence” are the core capabilities for comprehensively promoting the construction of the cyberspace capability system. The war first requires the commander to grasp and understand the enemy’s and his own situation, make correct decisions based on the real-time situation, and the ever-changing characteristics of the network situation determine the success or failure of the network operation. Therefore, network situational awareness has become the primary capability of the cyberspace combat confrontation system. The second is to use offensive operations as the main way to seize the initiative of cyberspace. The US military has strategically considered the cyberspace attacks as aggression in real space and has been attacked by the military. At present, the US military has built 100 teams to operate in cyberspace. In cyberspace operations, the offensive and defensive subjects have a certain degree of separation, and the offensive and defensive effects have asymmetry. The key to seizing the initiative in cyberspace operations is to use the offensive action to contain enemy attacks and ensure my stability. Cyberspace has become a new territory alongside land, sea, air and space, and it is also the most extensive territory. Since the birth of the computer, computer and network-based information systems have gradually developed, and the software and resources on it have been continuously enriched, eventually forming a network space. With the continuous development of the US military’s weapons and equipment and combat theory, the “cyberspace warfare” began to move from reality to reality. Compared with the traditional “platform center warfare”, the role of the command and control system “combat multiplier” in “cyberspace warfare” will be more prominent, and the impact on combat will be even greater. In the future modern war, in cyberspace Command and control should have its own characteristics and concerns. In theory, cyberspace is synonymous with the digital society of all available electronic information and networks. The United States “National Security Presidential Decree No. 45 and General Homeland Security Order No. 23” defines cyberspace as: information technology infrastructure and interdependent networks, including the Internet, telecommunications networks, computer systems, and processors in key industries. And the controller, usually also includes the information virtual environment and the interaction between people. Cyberspace has four elements: communication devices and lines; computers; software; data communication and resource sharing. Communication equipment and lines: It is one of the infrastructures of network space, including routing/switching equipment, wired/wireless communication equipment, cables, and so on. Computer: One of the infrastructures of cyberspace with computing, storage, and data processing capabilities. Software: It is the core supporting part of cyberspace, and software systems running various functions in communication devices and computers. Data communication and resource sharing: It is the basic capability of cyberspace, providing the required information for users at all levels. Commanding operations in the vast new territory of cyberspace will inevitably require the linkage of multiple arms and services. First, it should have security protection capabilities, provide multiple levels of security, and secondly must master the battlefield situation. In addition, it must have resource scheduling capabilities, etc. Provide support for integrated joint operations. Security protection refers to the protection of data in the hardware, software and systems of network systems by using various technologies and management measures so that they are not damaged, falsified or leaked due to accidental or malicious reasons, so that the system can continue Reliable and normal operation, network services are not interrupted. In the cyberspace command operation, the whole process of generating, storing, transmitting and using all kinds of allegations is faced with one or the other security threats. The traditional form of conflict has been extended to cyberspace. Security protection technology and attack technology have been developing together. The contest between “spear” and “shield” has existed since ancient times. Although the US military has consistently expressed its position through various channels, it claims that the “core of the US military’s cyberspace operations is to defend against cyberattacks, and defensive capabilities are the basis of all other combat capabilities.” However, a little analysis shows that the US military must achieve this in cyberspace. The goal is to combine attack and defense, build a network deterrent system, and consolidate its own “networking rights” in the military. US Deputy Defense Secretary Lynn has made it clear that the US will retain the right to respond to serious cyber attacks and will make a commensurate and legitimate military response at the time and place we choose. Former Defense Secretary Panetta has pointed out: “Now we live in a completely different world and face the cyberspace attack that can be compared with Pearl Harbor.” “We must be prepared to deal with it. In cyberspace, we have to Have a good network attack and network defense capabilities.” These speeches fully demonstrate that the US military pays attention to the deterrent effect of cyberspace, emphasizes the combination of attack and defense in cyberspace, and takes the initiative to launch cyberattacks when necessary. Its military goal is not only to ensure its own network security, but to discourage by improving its cyber attack capabilities. And deterrence all cyberattacks that are not conducive to oneself, to achieve its absolute freedom, absolute superiority and absolute security in cyberspace. In the cyberspace, the offensive and defensive drills between the state and the country have never stopped. In July 2008, Russia used a covert injection of attack software to launch a comprehensive cyberattack against Georgia, causing the network to collapse. In December 2011, Iran declared that its “electronic warfare force” used a “hacker hijacking” method to cause an American RQ-170 stealth drone to leave the route and land in Iran. The “super flame” virus discovered in May 2012 spread widely in the Middle East, hiding in the computer and stealing data. In March 2014, the official website of the Russian president suffered a cyber attack. From the previous cyberattacks, the cyber attack is as good as the fire of conventional weapons. The security of cyberspace is the security of the country, and cyberspace has become a space in the field of national sovereignty. Security protection in cyberspace should employ multiple levels of security mechanisms. At the national strategic level, it is a national-level network security protection; in key areas, there are network security protections in the military, government, and economic fields; in large enterprises, there are network security protections of state-owned and private enterprises and institutions; There are network security protections for individuals and families. Among them, the national level of security protection mainly includes border network security and backbone network security; enterprise-level (and military) security protection mainly includes border network security and intranet security; personal computer security protection mainly includes computer terminal security, terminal software security and terminal Data Security. At different levels of security, the content of protected information varies from national strategic planning to development routes to personal privacy and bank passwords. The leakage of information will undoubtedly have a blow and negative impact on the survival and development of the country, enterprises and individuals, and even undermine the security and stability of the country. Situational awareness is the perception, understanding and prediction of environmental factors under certain time and space conditions. In 1988, Endsley divided situational awareness into three levels of information processing: perception, understanding, and prediction. In 1999, TimBass first proposed the concept of network situational awareness, and pointed out that “convergence-based network situational awareness” will become the development direction of network management. “Know yourself and know each other, there is no war.” In the new battle space of cyberspace, how can we be confidant and know each other? It is necessary to grasp the situation of the battlefield and have the ability to sense the situation, that is, to acquire, understand and present the key factors that can cause changes in the state of the enemy and the enemy, and to predict the future development trend. The battlefield situation in cyberspace has the characteristics of wide coverage, huge amount of information, and extremely complicated conditions. For all levels of commanders, they hope to clearly understand and master the current cyberspace operations from the situation map, so that they can make decisions quickly and issue correct command orders. To gain insight into the state and situation of cyberspace battlefield development, it must have the ability to collect, transmit, store, monitor, analyze, and present state data. 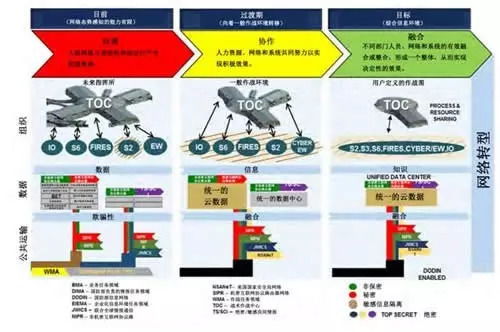 In the key position of the network space, the detection points are laid, the network running status is detected, and the state data is collected. Based on various state data, network posture, security situation, spectrum situation, etc. are formed. Then, it is transmitted to the node with data analysis and processing capability through various communication means to analyze the situation data, including situational integration, situation assessment and situation prediction. The results of the analysis and processing are transmitted to the command posts at all levels, and the battlefield situation is presented to the commanders at all levels in a layered, multi-dimensional, on-demand manner. The basic process of situational awareness is consistent with the traditional approach, but each process is different. The battlefield situation of cyberspace should be layered, global, and partial, which puts higher demands on the situation. With the continuous development of rendering technology, simple planar situational maps can no longer meet the operational needs, especially in the cyberspace combat environment, the demand for stereoscopic and multidimensional situations is prominent. Even if you are in the command post, the commander should be able to understand the battlefield situation and face the real opponent through the situation map. In the American war movie, you can often see the stereoscopic, touchable electronic sandbox, and the multi-dimensional display of the real-time battlefield situation enables the commanding function to make quick and accurate decisions and improve command and control capabilities. The battlefield environment of cyberspace is extremely complex, network environment, equipment operation, software operation… Many places need to have clear and intuitive display. 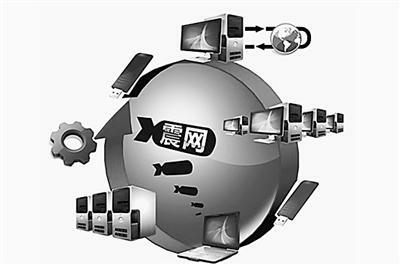 In order to improve the user experience and shorten the decision time, the cyberspace situation should have multi-dimensional dynamic characteristics, and can support multi-screen display, multi-screen linkage and so on. From the top-level situation map, you can understand the whole picture of the war. From the local situation map, you can understand the status of the combat units at all levels. The commanders at different levels can view different situation maps as needed based on their own authority. As a new type of combat space, cyberspace has objective differences with traditional physical space, and there are special requirements for command and control of cyberspace. However, cyberspace command and control still faces many other problems, such as how to integrate cyberspace command and control with traditional physical space command and control systems, and how to conduct cyberspace command and control effectiveness evaluation. The Chinese have a problem, they like to talk about strategy, they don’t like to talk about strategies; they like to talk about goals, they don’t like to talk about indicators, so the final result is big and big. If there is no strategy, there is no possibility that this strategy will be realized. If there are targets and no indicators, then to what extent is this goal achieved? This time, the “One Belt and One Road” was proposed. The most worrying thing is that the thunder is loud and the rain is small. The talk is vigorous and vigorous, and finally it is gone. We have done this kind of thing many times, I hope this time is not. Because if the “Belt and Road” fails, it can be a very heavy blow to the revival of the Chinese economy and even the Chinese nation. Many officials now talk about the “Belt and Road” without talking about security issues, nor about political issues, and no one talking about military issues. Some officials even emphasized that the “Belt and Road” has no political appeals and no ideological appeals. It is entirely an economic behavior. This kind of statement, if it is propaganda to countries along the line, is ok, because strategic intentions always have to be concealed. You say to others that I came with political intentions, with ideological intentions, who? Still accepting you? This is very necessary from the external publicity. However, if this becomes the consciousness of our officials, it is a big mistake. External propaganda said that we have no political demands, no ideological appeals, no military appeals, no geopolitical demands. Our only consideration is to develop the economy, mutual benefit and win-win. It is not wrong to use it as a propaganda, but it must not become our own consciousness. .
Now I feel that some officials really want to exclude these things. When he says these words, he has already excluded the political demands that are inevitable in the “One Belt, One Road” strategic concept in his own consciousness, especially geopolitics. Appeals, as well as security claims and ideological appeals. In fact, no matter whether you are prepared to “export revolution”, President Xi has repeatedly said that China does not export revolutions, but since we now emphasize Chinese values, there is no doubt that you will export your values ​​through the “Belt and Road”. Then, this value output is actually an ideology output. In addition, in the process of advancing the “Belt and Road”, if you do not have political appeals, you do not have political binding with countries along the route, which will put you in an insecure state. In particular, the “one belt” of the land is accompanied by a very complicated factor, the so-called “Ottoman Wall”. That is, in the 15th century, the Ottoman Empire conquered the Byzantine capital of Constantinople, and its enormous empire became the “Ottoman Wall” that blocked the East and West. 300 years later, with the end of the First World War, the Ottoman Empire disintegrated, and the “Ottoman Wall” collapsed, but if you follow this path, the places along the way are all Islamic worlds. This means that the implied “Ottoman Wall” is still there. How to break through this invisible wall? Your values ​​are different from those of the Islamic world. Don’t expect that you can completely tie everyone together by simply bundling economic interests. You know, those Islamic countries may just want to make a profit, and then take advantage of it before you open it. What should I do at that time? The biggest lesson for Chinese companies to go out is that after economic cooperation with those countries, people will open us after they have benefited, or they may not open our intentions subjectively, but the objective situation has changed. For example, in Sudan, we invested in it. The West has to give us trouble. Then there are people in the local area who messed up with us. We bite our heads and start to fail to make a big impact on us. We should earn the money we earned. At this time, the Americans are paying their salaries and turning the Sudan into a North and South Sudan. We are dumbfounded. Your investment is in North Sudan, and the oil field is in South Sudan. At this time, you must suffer losses. However, we Chinese have a very strong ability, which is the ability to “engage” relations. Although the Sudan has split, we have “taken the way” to win South Sudan. It is said that the North and South Sudan will let you take it, should it be able to settle? But the United States has provoked the civil war in South Sudan, and the final goal is to make your investment in this place squander. This is just one example. In fact, our cooperation with all countries, the United States that the United States does not participate in, must oppose. The final outcome is that we have lost in many places, which is why we lacked the necessary security awareness from the beginning. “One Belt” is the main one, and “One Road” is the supplement. Now, we have started a new round of “going out” strategic action. I have suffered so much in the past. Should I accept some lessons? How to go “One Belt, One Road”? The author believes that we should take a multi-pronged approach, and we should let politics and diplomacy go ahead and the military back. Rather than letting the company go out on its own, it is almost impossible for the company to go out alone. From now on, the “Belt and Road” seems to be a two-line attack, both sides. In fact, the “band” is the main one, and the “road” is secondary. Because you want to take the “road” as the main direction, you will die. Because of the sea route, a scholar from the American War College recently wrote an article saying that they have found a way to deal with China, that is, as long as the sea passage is cut off, China will die. Although this statement is somewhat large, it cannot be said that there is absolutely no reason at all, because the United States now has this capability from the military. This also confirms from the opposite side that in the choice of the primary and secondary direction of the “Belt and Road”, we should determine who is the main road and who is the auxiliary road. If the “Belt and Road” is likened to a combat operation, then “all the way” is the auxiliary direction, and the “one belt” is the main direction. Therefore, for us, what really matters in the future is how to manage the “one area” problem, rather than the “one way” problem. Then, the operation of the “Belt” will first face a relationship with the countries along the route, that is, how to first open up the relationship with the countries along the route. Judging from our current practice, it is obviously not enough to ensure the smooth and smooth operation of the “Belt and Road”. why? We used to always like to deal with the government, like to deal with the ruling party, like to deal with the rich people in this country, who is dealing with who is in position, who has money to deal with who. In this case, it will be difficult to succeed. In fact, what is the work we are going to do? It is necessary to deal with the government, with the ruling party, with the opposition party, and more importantly, with the tribal elders in the entire “Belt”. These tribal elders are often much more influential than the opposition parties and the ruling party. What we can do in the Taliban-occupied areas of Afghanistan and Pakistan is almost always achieved through tribal elders, and basically nothing can be done through the government. Therefore, our foreign ministry and our enterprises cannot ignore the important relationships in these regions. Why not Latin America and Japan “take in”? “One Belt, One Road” has another problem that no one has touched until today. It is the question in some people’s hearts. Does China want to use the “Belt and Road” to exclude the United States? There is no doubt that the United States plays a chaotic role in almost all international organizations and international operations in which it does not participate. As long as it doesn’t play a leading role, even if it’s not the initiator, it will give you trouble. Take a look at APEC. Why is there a TPP after APEC? It is because the United States finds itself unable to play a leading role in APEC, it must do another set and start a new stove. If the “Belt and Road” completely excludes the United States, it will make the United States spare no effort to suppress it, and since the United States is not in it, it will not be scrupulous if it is suppressed, because it has no interest in it, so it will be unscrupulous and unscrupulous when it is suppressed. Soft hands. Therefore, the author believes that China’s “Belt and Road” should skillfully include the United States. It should allow US investment banks, US investment institutions, and American technology to play a role in the “Belt and Road” to complete the “Belt and Road” approach to the United States. Bundle. After completing this bundle, the United States will vote for it when it starts. Take a look at China and the United States to fight for economic shackles and trade, why do they end up every time? It is because the economic interests of China and the United States are very closely tied to each other. Every time the United States wants to impose sanctions or punishment on a certain industry or enterprise in China, there must be a related out-of-hospital system in which the United States and our enterprise are bound together. The group went to Congress to lobby and finally let it die. Therefore, we must let the United States enter this interest bundle. In terms of capital and technology, the “Belt and Road” should not only exclude the United States, but also pull it in and complete the bundling of it. From this I think that we can’t even exclude Japan. Can’t think that who is not good with us, make trouble with us, I will set aside to open you up. In fact, this is not good for the other side, and it is not good for yourself. Once you open it, it will be unscrupulous when you hit it. Only when its interests are in it, it will only be scrupulous when it hits you, and it will be careful to protect its interests. And if the benefits are completely tied, it can’t be picked up, so I think this is something we must consider. Up to now, there is no precise strategic positioning for our country, and the national strategy is somewhat vague. As a result, various so-called “strategies” emerge in an endless stream. What is most screaming in 2014 is not the “Belt and Road”. What is it? It is China’s desire to become a major ocean power and to launch China’s marine development strategy. What kind of marine development strategy do you want? Some people say that they have to break through the three island chains and go out to the Pacific. What are you going to the Pacific Ocean? Have we thought about it? Think through it? If you don’t think through it, you shouldn’t put forward a strategy that is extremely hard to burn and has no results. Now that we have proposed the “Belt and Road”, we suddenly discovered that what we need more is the Army’s expeditionary ability. So what is our Army today? The Chinese closed their doors and thought that the Chinese Army was the best in the world. The British military leader Montgomery said that whoever wants to play against the Chinese army on land is a fool. 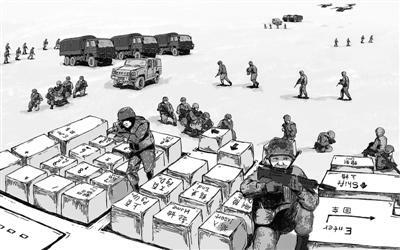 The Americans’ conclusion from the War to Resist US Aggression and Aid Korea is that the Chinese must not tolerate the military boots of American soldiers on the land of China. This is no problem. 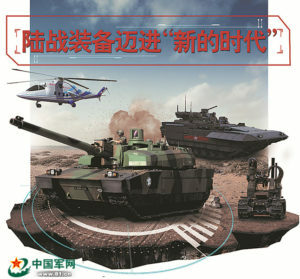 The Chinese Army has no problem with its existing capabilities to protect the country. 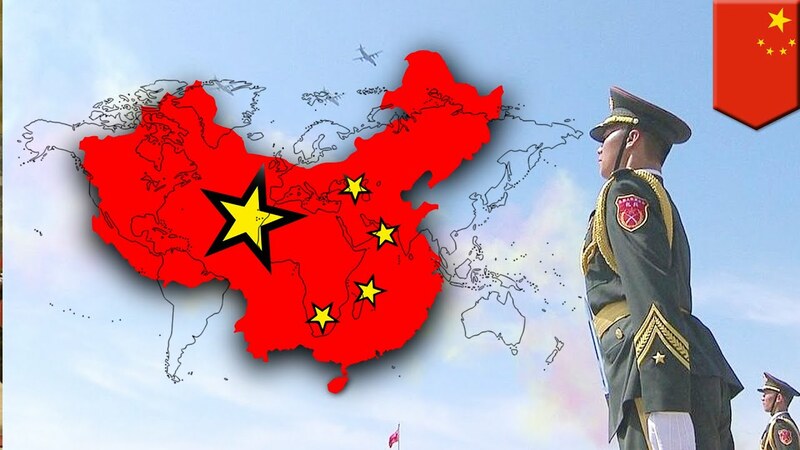 However, once faced with the “Belt and Road”, the task of the Chinese Army is not to defend the country, which requires you to have the ability to display the land expedition along the way. Because the light is on land, there are 22 countries that can count. This requires us to have to go to the sword. Instead of invading others, we must be able to protect our own national interests across borders. The last point is how to focus on the development of military power. If we have made it clear that the “one belt” is the main direction, it is not just an effort to develop the navy. The Navy must of course develop according to the needs of the country, and the problem that is now emerging is precisely how to strengthen the Army’s expeditionary capabilities. There are no more problems in China’s more than one million army, and there is no problem in defending the country. Is there any problem in going abroad to fight? Are we now in the right direction for the Army? Is it reasonable? When the world is now abandoning heavy tanks, we are still proud of the heavy tanks we have just produced. In what areas will these things be used in the future? In the entire “one belt” road, heavy tanks have no room for development. The heavy tanks of the former Soviet Union allowed the guerrillas to knock casually in Afghanistan. Why? Where can you go in all the ravines? The tank can’t fly anymore. In the end, the people take the rocket launcher and aim at one. It is all one, and it will kill you all. Therefore, the Army’s combat capability must be re-enhanced, that is, to strengthen its long-range delivery capability and long-range strike capability. In this regard, the author thinks that we are far from realizing it, and it is even more impossible. 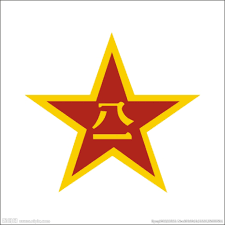 If the Army does not have the ability to go abroad, in the future, in any “one area”, if there is civil strife or war in any country, China needs support, and we need to protect our facilities and interests along the way, the Army can go, Is it useful? This is a question we must think about today. So what should the Army do? The author believes that the Chinese Army must fly and must achieve aviation aviation, which means a revolution in the entire Chinese Army. Today, when we talk about the reform of the military system, if you don’t know the country’s strategy at all, don’t know the country’s needs, and close the door to reform, what kind of army will you reform? What is the relationship between this army and national interests? If you don’t start from the national interests and needs, just draw your own scoops like the US military’s gourd, take it for granted that you should be an army, but the country does not need such an army, but needs a development demand with the country. Match the army, what do you do then? Therefore, if we don’t understand what the country’s needs are, and don’t know where the country’s interests are, we will close the door to carry out reforms. What kind of army will this change? The author believes that the “Belt and Road” is a huge drag on the reform of the Chinese military with national interests and needs. It is through the strategic design of the “Belt and Road” that the country has determined its strategic needs for the military. 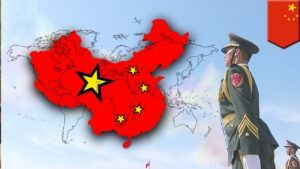 The conclusion is: China must have a stronger army, and a navy and air force that can work together and act in concert, an army, navy, and air force that can cross the country’s expedition, and still have thousands of miles away. With sufficient support and combat capability of the Expeditionary Force, we can make the “Belt and Road” truly secure in terms of security, thus ensuring the ultimate realization of this ambitious goal. While the development of science and technology is promoting the rapid birth of new arms, the cohesiveness of war integration is also affecting the integration of military construction. 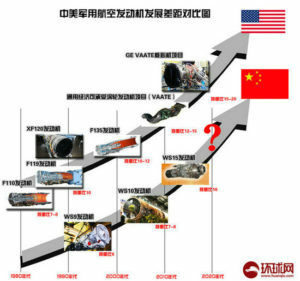 Under the conditions of informationization, the trend of integration of arms and services is becoming more and more obvious, and there is a tendency to accelerate development. Today’s “Liberation Army Daily” article pointed out that the integration of military services and eventually moving toward integration is the inherent requirement of informationized warfare and the basic law of military construction and development. In seeking the initiative of army building, we should make forward-looking decisions in promoting the integration of the military and plan ahead. The army has given birth to the military and other military services. With the advent of the information age, the integration of battlefields and combat operations has made the integration of services a new trend and destination for the development of military construction. The development of things often presents a spiral rising path, following the law of negation of negation. The development of human military activities, especially military construction, is also in line with this law. Before the information age, the army of the army was from one to many. The army had given birth to the sea and air. With the advent of the information age, the rapid development of technology has made the integration of military services a trend and a destination for the development of new military construction. Under the condition of mechanization, the pattern of independent existence of land, sea, air and sky battlefields began to merge under the catalysis of the new military revolution. Multidimensional and multi-war occasions are the basic forms of the future battlefield. The promotion of rapid development of science and technology. With the continuous development of science and technology and the improvement of mankind’s ability to control the battlefield, it is an inevitable trend that the battlefield will be dispersed from integration to integration. Science and technology are the driving force for the integration of battlefields and unlimited expansion into the air. The development of high-tech such as information technology, positioning and guidance technology has made the performance of weapons and equipment surpass the traditional land, sea and airspace boundaries. Global mobility, global arrival and global strike have become the targets of the development of the military of the world’s military power. The development of space situational awareness technology integrates surveillance, reconnaissance, intelligence, meteorology, command, control and communication, and integrates the battlefield information network to realize battlefield information sharing. Joint operations and precision strikes become the basic style of future warfare. The rapid development of space technology has made the surface information and the information of the global environment unobstructed. The expansion of the battlefield into space has condensed the traditional land, sea and air battlefields into one, becoming a stepping stone and pedal for the vast innocent space battlefield. The inevitable evolution of the form of war. With the in-depth development of the new military revolution, the intensity of the war to informationization will further increase. Informatized warfare is not only a “speed war” but also a “precise war” and an “integrated war.” The acceleration of the war integration process is first manifested in the integration of land, sea and airspace, and the integration of the scope of the battlefield as the war develops. This is the basic condition for information warfare. The speed of war and the improvement of precision strike capability require that the military must have global maneuver, global combat and precision strike capability that transcends land, sea and air, cross-border, trans-ocean, and vacant, and battlefield integration is the basic guarantee. The war science and technology contest has intensified, and the requirements for battlefield resource sharing have become more obvious. Military personnel have broken through the geographical and military barriers and broke the boundary between land, sea and airspace. It is an important weight to win the war. The requirements for quick fixes in combat objectives. Speed ​​and precision are the main thrust of future wars. Eliminating battlefield barriers, integrating land, sea, air, and battlefields is the way to reach a speedy battle. The quickness and determination of the purpose of informatized warfare has promoted the integration of force preparation, equipment and operations. The integration of force preparation, equipment and operations has also promoted the arrival of battlefield integration. The military system is integrated into the arms and services. The scope of action has surpassed the narrow space of a single service. The ability to operate in a wide area and in a large space makes it difficult to divide the battlefield into a land battlefield, a sea battlefield, and an air battlefield. Weapons and equipment combines the performance of land, sea and air weapons. Its combat function surpasses the land, sea and airspace range, providing material conditions and support for battlefield integration. The strategic battle tactical action is integrated into one, the joint operations are divided into groups, the small squad completes the large task, and the informatized war characteristics of the tactical action strategy purpose will inevitably catalyze the dispersed battlefield toward one. While the development of science and technology is promoting the rapid birth of new arms, the cohesiveness of war integration is also affecting the integration of military construction. Under the conditions of informationization, the trend of integration of arms and services is becoming more and more obvious, and there is a tendency to accelerate development. The theory of integration theory is repeated. The fusion of theory is a prelude to the integration of the military, and it is the magic weapon and sword to win the information war. Under the impact of the new military revolution, theoretical innovations have surpassed the waves, especially the integration of theoretical innovations aimed at joint operations. In order to adapt to the new changes in the form of war and the international pattern, in the 2010 “four-year defense assessment report” of the United States, the theory of joint operations of “sea and air warfare” was clearly put forward. In order to adapt to the requirements of the network-centric warfare, the French military integration theory innovation is at the forefront. The Army proposed the air-to-ground combat bubble theory, and the Navy proposed the theory of joint action from sea to land. The Indian Army has referenced and learned from the US “air-ground integration” and “quick-decisive” operational theories, and put forward the “cold-start” operational theory. The core is to strengthen the cooperation between the army and the sea and air force in order to seek the initiative of the operation and strive for the shortest time. The purpose of the battle is achieved within. Integrated equipment surfaced. The rapid development of science and technology has continuously enhanced the comprehensive functions of weapons and equipment, and integrated equipment integrating land, sea, air and sky has become a material support and an important driving force for the development of military services. In order to win the initiative of integrated joint operations, the world’s military powers have accelerated the research and development of integrated equipment. The US military “Independence” stealth warship, which was once popular, is a very typical new integrated equipment. The ship integrates anti-submarine, mine-clearing, surveillance, reconnaissance and force deployment functions. It can carry three helicopters, some special forces and armored vehicles, and integrates the “ground and air” equipment. The ship-borne gun can carry out three-dimensional attacks on missiles launched from air, land and underwater targets, which greatly enhances the integrated combat capability of the equipment. The integrated forces first appeared. 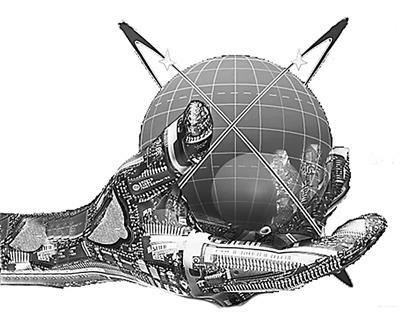 The future informationized warfare is an integrated joint warfare operation carried out in multi-dimensional space such as land, sea, air, sky, and information. It is required that the participating troops must be an integrated military system. To meet this requirement, the army of the world’s powerful countries has intensified the construction of integrated forces. Joint expeditionary forces such as the US military include the Army Division, the Naval Aircraft Carrier Combat Group, the Marine Corps Division (sub-) and the Air Force Fighter Wing. The Russian military formed a mobile unit that spanned three services and one independent unit, including the Army’s Mobility Division, tank division, special brigade, rocket brigade, air force fighter, attack aircraft, bomber regiment, naval marine battalion and airborne troops. Airborne division. The rapid reaction force formed by France consists of different types of divisions of five arms. In accordance with operational needs, Germany has directly organized the Defence Forces into three units: the Intervention Force, the Stabilization Force and the Support Force. It can be seen that the integrated forces of multiple arms and services have become the direction of army construction and development in the information age. The integration of the services and the ultimate integration are the inherent requirements of the information war and the basic law of the army’s construction and development. This law does not shift from people’s will. In order to seek the initiative of army building, we should follow this trend and make forward-looking decisions in promoting the integration of the military. In-depth exploration of the theory of military integration. Theory is the forerunner of action, and it is the reflection on the top of the mountain. Aiming at the trend of the times, accumulating strength and finding countermeasures through theoretical research is the experience and practice of world-class military construction and development. The first is to strengthen the theoretical exploration of integrated construction. We should study the issue of integrated military construction as soon as possible, explore the construction goals, standards, paths, methods, and methods of the integrated military, and build bridges and paved roads for the military integration. The second is to strengthen the exploration of integrated operational theory. The development trend of military integration will inevitably bring about new changes in combat theory. It is necessary to strengthen the study of the characteristics of the integrated military operations, strengthen the study of integrated military operations and command methods, strengthen the study of the basic military tactics of the integrated military, and make forward-looking theories a traction in the development of military construction. The third is to strengthen the theoretical exploration of new talent training. To train new talents that meet the needs of the development of integrated military construction needs to be prepared in theory. 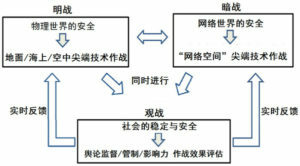 The institutional structure, teaching content and teaching methods of colleges and universities need to focus on the law of integrated military construction and development, theoretically research, clear, and even through pilot exploration, so that the training of college personnel can adapt to the general trend of military integration development as soon as possible. For the development of integrated military construction, it is necessary to make a good talent reserve. Explore the construction of a military united army. Comply with the general trend of the integration and development of the informatized military, actively promote the exploration of the construction of the military-integrated forces, and explore ways to accumulate experience for the development of military integration. Under the current circumstances, it is mainly necessary to build a large article on the integration of hybrid force preparation and create conditions for the integration of the military system. The establishment of a multi-service hybrid pilot unit will be rolled forward in actual combat training. Take the Army as an example, it is to build a hybrid force that integrates rifle, tan, gun, and land. For example, the integrated ground detachment consisting of armored forces, artillery, machine infantry, missile corps, attack and transport helicopter detachments, which was formed by the US Army, foreshadowed the development trend of integrated force formation that broke the arms and even the service line. 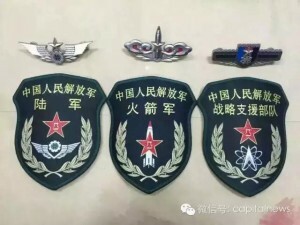 With the accumulation of experience, the maturity of the conditions, and the improvement of the level of science and technology, the scope of the composition of the force has gradually expanded, and eventually an integrated experimental unit with complete strengths of the arms and services has been established.